Ever watch starlings fly in perfect synchronization and wonder how they do it? Scientists are studying it, too. This article from the Cornell Lab of Ornithology presents some of the findings of research scientists. 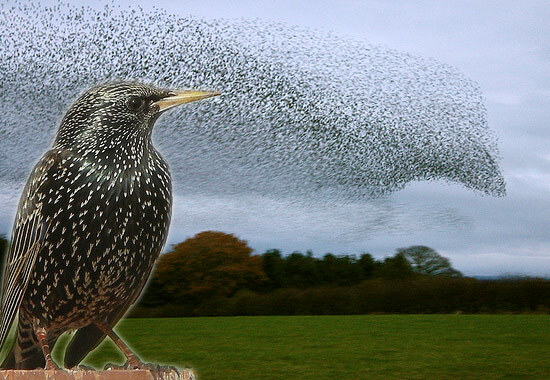 via How Do Starling Flocks Create Those Mesmerizing Murmurations? – Round Robin. The link at the bottom of the post links to the original post on the Cornell Ornithology blog. I copied this info from the original post.